1. Mail from Iroquois@NiskyPTO.org via MailChimp! In early October, the district provides each school's PTO with the updated directory information from the emergency and contact updates completed online by parents via "Returning Student Registration" in the Parent Portal. This information is used to create the school directories and to update the PTO's email list. Emails from the PTO about Iroquois programs and events are sent from this account. Please add iroquois@niskypto.org to your address book to avoid having these important emails go into spam! 2. Subscribe to Buzzable for Nisky Schools! Buzzable is a separate service from the PTO Gmail and SNN (below). Although the Iroquois PTO does NOT use Buzzable (because we already have our fantastic MailChimp service :), subscribing to Buzzable allows you to get email from several other PTOs (currently NHS, VA, Glencliff, Rosendale & Craig are using Buzzables), N-CAP, and Friends of Music. You can also swap or sell items, services and information with your school district neighbors via the Neighbor-to-Neighbor Newsletter, available only through Buzzable! Click to Start Buzzing. 3. 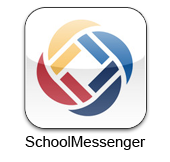 For even more news, Sign up for School Messenger! The district has new Back-to-School technology resources and support for Nisky schools families, including a new notification system called School Messenger. Last year's Parent/Student Portal is also part of these resources, as well as NEW online Returning Student Registration. Click here for a flyer providing details! The Parent Portal/School Messenger/Returning Student Registration Support Website can be found here!